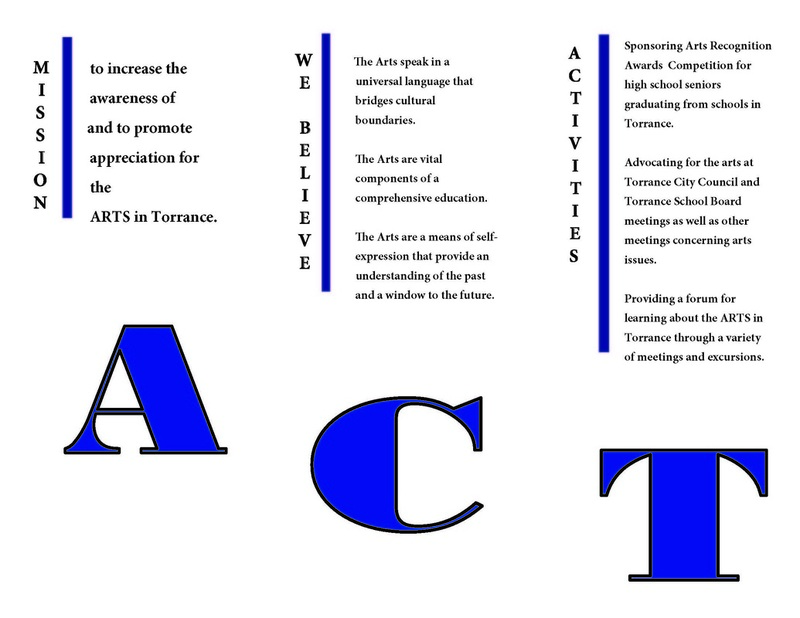 ACT also has an active grants program to assist in the funding talented students to participate in local arts experiences when financial resources are needed. The volunteer Board of Directors, which include elected officers and chairmen, meets the 4th Thursday of each month. Luncheon Meetings, scheduled three times a year, feature outstanding local speakers, artists and /or performing groups.